Fortunately, there is one easy answer that helps both scenarios… Start putting your own coaching products online. Imagine a life of long days of coaching, coaching, and coaching. Your time benefits lots of clients, but what about you? How is this challenging you? How are you staying inspired about your subject matter? What is your next step in becoming a creditable thought leader? How about writing a short e-book on a subject you are passionate about. Or what about a short video where you teach something you are exceptionally good at? Think of this as your first online product. By setting up your first online product you will see yourself and your business differently. You’ll start to see a way out of the job you’ve created for yourself and discover new exciting opportunities that couldn’t have existed before. Discover endless, new possibilities for your coaching business. The sooner you expand your comfort zone by getting your first online product up and running, the sooner you will start having more ideas for other products. Just imagine being in the position to double your hourly coaching rate, reducing your client list to less than 20 premium clients and transitioning everyone else to your awesome online products! Gain massive exposure to new clients all over the world. Start to expand your network to the whole world just by being online. You are unique and your message will resonate with thousands of other people on this planet. Going online will help you find your crowd. Step 1: Get a clear niche and develop products for your niche. Combine your passion for coaching, with a subject your have expertise in, with a video camera and/or a keyboard and create something useful that people need. Maybe start with one lesson, or tutorial, on your favourite topic. Then make another one and another one to have a series. Eventually, you can package a few things together and create an awesome coaching kit or program. 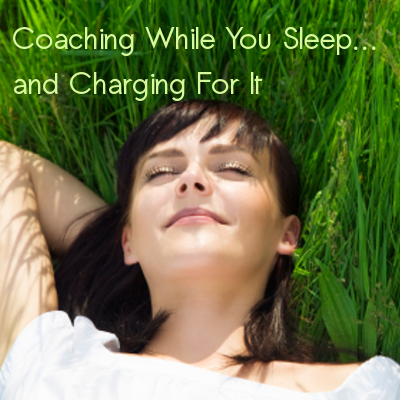 Learn more about the different products you can create for your coaching business here. Step 2: Build a website with all the essential bells and whistles. You must put your business online so people can access it without you needing to be involved. That means you need a website. It can be pretty basic and low cost but so long as it can do the most important things. Learn the 8 Essential Technologies for Your e-Commerce Coaching Website. Step 3: Promote your products. There is certainly an art and a process to doing this effectively and in a way that aligns with your personal values! Learn more about Who Should Run Online Marketing for Your Coaching Business here. Step 4: Start making money while you “sleep”. There is nothing like your first passive income sale! Experience it as soon as you can. I guarantee you’ll be hooked. It’s one of the best and most powerful business motivation tools out there. I have no experience Most new things involve a learning curve. Once you’ve done it, you know what you’re doing and then you realize how easy it is. Kind of like riding a bike.Remember, it’s not hard; it’s new. So, just do it! I’m not an expert in anything yet So don’t sell yourself as an expert. Despite all the marketing hype out there, there are real people out there who respond to an honest story and a genuine voice. If you have something you believe in that helps people, there will be interest.Besides, the only way to become an expert is to START! There is too much competition What most coaches out there don’t realize is this – YOUR products WILL resonate with people out there in a way that no other product can do. It doesn’t matter if there are 100 other coaches selling exactly the same type of thing because your implementation and your voice will be unique.There are people out there right now waiting for your unique approach to their problem. But they will never find it if you don’t put your product out there first!One of the most helpful things I have done in the last two years is to stop comparing myself to my competition. Awareness of what they are up to is enough so I check in with their websites about once a year and otherwise do my thing.It works. I stay on my path and that is what my audience likes. The better I am at being me, the more I tend to sell. It’s too expensive Not if you’re smart about it.If you’re prepared to get your hands dirty (or know someone generous who is), you can get a system for selling a simple information product online for $100-$200 for the year!If you are like me and don’t want to get too technical yourself, you can find great online tools that will do everything you need to get started. I’ll write more about these different options in an upcoming article. By being online you increase your network and client list way beyond what you could ever achieve face-to-face AND you build your credibility in your area of expertise. And if you add something like an online coaching program, or a How To eBook or little tool kit, to what you are already doing, you can create a new cash flow stream for your business. With a little upfront investment of your time, you can take your coaching – and your coaching business – to the next level. my decision on what to do next with my life… after Retirement. BTW, I just retired at 69… this will help me a lot. You are so right! I really know that I would benefit from putting my own coaching products on line and so would people out there. I have heard myself make several if not all of those excuses. Thanks for this post. It has moved me one step closer to my goal of making an income while I sleep. Mo and Romeo, thanks so much for the feedback. I was hoping the article would get a few coaches thinking about passive income and your words have let me know that I’ve hit the mark! Awesome! What a great article Benay. I have used some, if not all those excuses. What hit home to me was “unique voice”. That’s the kicker I needed. Thank you so much. This is something I was planning to do…eventually. This article helped me to realize there is no better time than the present. I was thinking just today about an issue concerning my “ideal client” that I believe is not addressed much, if at all. It’s just the kind of thing that I could write an e-book about, just to get started. I think it could become a very big thing eventually. Food for thought, indeed! Thanks for the article.